Sheffield FC will not be in for an easy ride as they chase a fifth consecutive home win when they host struggling Carlton Town. That is the verdict of Club boss Gavin Smith as his Evo-Stik East Division play-off chasers prepare for the visit of a Carlton side sitting one point clear of the drop zone. “Carlton will come here, work hard and get players behind the ball,” Smith said. Carlton have suffered just one defeat in their last four matches on the road. Sheffield are looking for a league double having won 1-0 at Carlton in October courtesy of a stunning strike from Mitch Dunne. Club have re-signed Chesterfield striker Luke Rawson on a month’s loan. 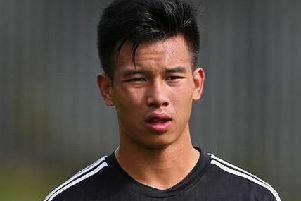 The 17-year-old made three appearances in December, scoring once, before being recalled by the Spireites, form who he made two appearances in the mean time. Smith was pleased with last weekend's 3-1 win over Pickering Town that lifted Club into fourth place. “I thought we fully deserved it,” he said. “We scored an early penalty and then a second goal inside 25 minutes. “Ted Cribley made a sloppy tackle to give Pickering a penalty but Jonathan Edge pulled off a great save. “I don’t think they ever looked like scoring, particularly in the second half, until we switched off. Stocksbridge Park Steels boss Chris Hilton insists his side took plenty of confidence from their performance in the 4-0 defeat at Morpeth Town as they head into a clash with Belper Town this weekend. Hilton was delighted with Steels’ showing in the first half and only trailed to a contentious penalty at the break. “We’ll focus on what we did in the first half against Morpeth because that’s the level where we want to be,” said Hilton. “The players gained a lot of confidence from that and the win at Pickering in the previous away game, so if we can keep that going to the end of the season we’re going to pick points up. “We could have been in front in the first half against Morpeth. “We’ve missed the best chance of the half, had a good shout for a penalty, then they get soft one. “I don’t think we’ve had the rub of the green with those decision this season but there is no point in sulking about it, you’ve got to dust yourself down and get on with it. Hilton is set to conclude his search for firepower by signing two strikers in the coming days. 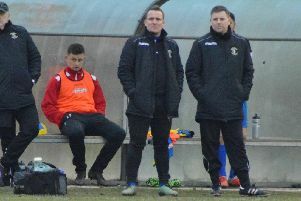 Young forward James Morris – released by Doncaster Rovers – is expected to sign in time for the trip to Belper, with a more experienced forward set to join after the weekend. Skipper Liam McFadyen will miss the trip to Belper, who have taken just one point from their last four matches and won one in eight, which has dented their play-off aspirations.